Millions of ton of already printed plastic rolls are yearly sent to waste centra’s. The industry is receiving ridiculous amounts for those rolls and are obliged to purchase new plastic. 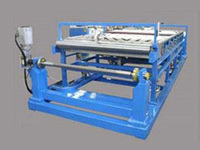 We propose a machine with a very short ROI (return on investment), cleaning at a speed of 45 to 50 m/min the plastic rolls and giving it back its transparency. The recovered plastic can be , after granulating, fully integrated in the production of new rolls, allowing also to lower the amount of plastic to stock. 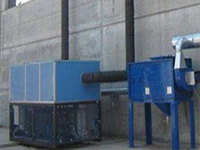 First system approved by the Common Market for the recycling of the aerosols , in combination with a crusher/shredder. Manufacturer ECOCIPREA received, after a closer examination of the system suggested for the recycling of the aerosols, the first European approval for his machine EZAIR2000.